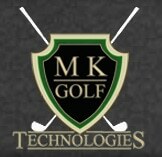 Posts under tag "mk golf technologies"
At MK Golf, situated in San Antonio (Texas), club fitting is our passion. We use the latest high tech equipment and software – FlightScope 3D Doppler radar to track both the flight of the ball and the path and angles of the club head during the swing, and high speed video to help with shaft analysis. We have transformed the process of club fitting into a precise personalized science that increases accuracy and improves on-course performance.